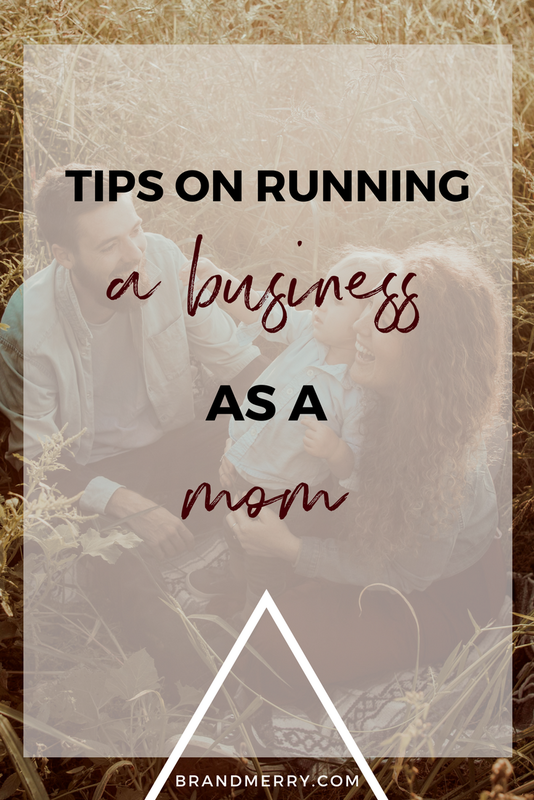 My intention for you today is that you walk away with some cool strategies and tips that you can use, but also that you know it is possible to not only grow a business, but to successfully run a business as a mom, especially if you have young children. I'm going to give you my tips so that you can show up as a woman, as a business owner, and still have time for your little family. A little backstory before we dive into these tips because I think it's really important that if you are a mom, you are watching this, and you know that I get you, that I'm not just coming in and sharing these tips, and I don't actually know what it's like to be a mom, because even though my son's not running around right now, he is very much a piece of my brand and my business. I actually decided to create an online business just one month after my son was born. I spent the next six months trying to figure out what that looked like. I would wake up early and work before my 9:00 to 5:00. I would brainstorm ideas in the middle of the night during a feeding. I would work a little bit late after driving home in traffic. I really just dove into my business as a way for me to leave my 9:00 to 5:00 so I could create a life of freedom that allowed me to be home with my son. I've been there, I've done it, and in just one year of creating my business, I actually created a six-figure business, and it's continuing to grow. The entire time that I'm doing it, I'm able to be there with my son, to work alongside my side and have the beautiful freedom that I've always wanted as a mom, so I get it. It wasn't always easy-breezy. There were some hard times, and I'm excited to share with you my top tips today. Now, I know this might seem like something you hear all the time. I totally get it, but it's so important. When you're running a business, it's really easy, we're creating a business from home, it's really easy for you to put it on the back burner, for you to say, "Oh, I'm not going to do that because I need to do laundry," or, "I need to clean the kitchen," or, "I need to do X, Y, and Z," but I want you to really get in the habit of creating your business even if you're in the beginning stages and just researching ideas, valuing that time and giving that time the scheduled time it deserves. Whether that's an hour a day or four hours a day, really saying, "Between this chunk and this chunk, I'm dedicated to my business." Now, I will give you a complete disclaimer that I have worked alongside my son since day one, so I also know that sometimes you have to stand up and go grab a snack or a kid climbs on your lap. I totally get it, but if I set my intention that during that time that's when I'm working on my business, my son has actually learned that. My son says, "Mommy's working," and that's great. That's amazing. We're still in the same room together, but he knows, hey, I'm going to play with my train tracks while mom is writing an email. It's really great to set those boundaries early on, not only with yourself, but with your family. I always recommend this, when you aren't working on your business that you are present with your family. I'll be 100% transparent with you. This was hard in the beginning because my business was like a second baby to me, so I really had to be aware that when I wasn't, during my scheduled time with my business, my phone was away and I was present with my family. That helps a ton when it comes to those times when you might feel a little guilty, I totally get it, and just knowing that you are giving so much love. Also, being compassionate with yourself and knowing that you are a woman, that you have many passions, you have many loves. Being a mother is one of those pieces, but you also want to create a thriving business. Compassion with yourself and knowing that, "I'm working on my business now, and I'll be with my child in just a little bit," or, "I'm going to be very present with my son or my child now, and I'll be able to work on my business tomorrow." Really honoring yourself, honoring your desires, and knowing that you can do and have it all. Number one, we talked about scheduling your time, really carving out chunks of time for you to work on your business. Number three is my favorite thing to do. It has saved me time and time again in my business, and it is bulk-scheduling. If you're an online entrepreneur, 9 times out of 10, you're probably showing up in social media, maybe emailing your list, making YouTube videos like this, and it's really awesome and helpful for you if you can carve out a chunk of time, maybe kid-free if that's available to you, to get all of those done in one setting. For instance, today, I recorded four YouTube videos back to back while my husband plays with my son in another room, and I'm good for two freaking months. It's really, really amazing. Any way you can bulk-schedule your content, whether that's bulk-writing emails, blog posts, writing and scheduling your social media posts, recording YouTube videos, anything that you can do in big chunks of time will free you up to spend wonderful time with your family and honor yourself as the woman and mother that you are. I did this really early on, and I'm so thankful for it. While I know it's not an option for everybody watching, it has been really powerful for me, and so I want to share with you how I've done that. For instance, when I started my business, live video was so stressful because I had a new baby, and I couldn't go live in the middle of the day if he was crying, or so I thought. One day, I got the idea to put him in his little carrier and just set up my tripod and do my live video. It has been one of my favorite live videos to date. I even saw many clients who said, "I saw you with a baby on your back and knew it was possible." In that moment, I knew, me showing up authentically, me showing up as a mom, including my son in a live video, whether he's on my back or on my lap, having him in my branded photos, talking about him openly in my brand really allowed me to make a deeper connection with the women that I wanted to work with and remove the stressor of trying to come off as this perfect person which never happens, kid or not. That's a really great tip I have for all of you. Any way that you can, and at the comfort level that you feel comfortable with, include your family, your children in your branding process. It not only makes you more real in the online space, but also makes you more relatable. I totally get it. You're a mom. You're a mom who's running a business, and sometimes, it can be really crazy and a little bit hectic, and know that you are so not alone. In fact, my private community Authentic Brand Builders, we have tons of moms who are running businesses, and we're often talking about what that looks like. I think it's really important to be compassionate with yourself, to make your business a priority, and know that you are really doing and running your business so that you can be the best woman and mom to your children. You can watch the whole video for a more in-depth version of this and several bonus tips below! My business has changed so much from when I first started. I've been in business for 2 years now, and it started with my husband and I creating a design business. I had a background in Public Relations and he had a background in design, but I realized shortly after that that's not what I wanted to do. In August 2016, I started Brandmerry and knew right away that this was it. Had I known this, I would have started Brandmerry from the very beginning. However, something that I really want you to take away from this is to honor the seasons. Whether you're at the side hustle level, the solopreneur or you're starting to build your team, honor your seasons. You are exactly where you need to be. If you know anything about me, you know I always want you to start with your story. Looking at your story will help you discover what you really do and don't want to do in your business. And I'm not talking about posting on social media, and those things that you can later outsource, that need to be done in your business for marketing purposes. I'm talking about the way you're working with clients - are you working with them in a way you truly enjoy, or do you not like how you're currently working with clients? Are you offering a package or service that you actually don't like doing? Are you doing what you actually want to do? Because it's not easy, so it's not worth it if it's something you ultimately don't like. I think it's important to be doing what you want to do because otherwise all that energy is not worth it. Think about the bigger purpose - the big picture. The why doesn't always do it for me, but the big picture does. Maybe coaching is the avenue to get you to where you want to be in the big picture. Just be really clear on the type of business you want to create. Know that it is possible for you and remember to think big picture. I didn't think this was important in the beginning. I would tell my coach that I had done the ideal client worksheets when I hadn't. And there was a big a-ha moment for me when I was home sick from my 9-5, and I finally sat down and wrote out who my ideal client. A week later I signed a client that had been in my community, and now I was finally connecting with her. There is a reason companies spend tons of money on marketing research. It's about understanding your audience so clearly, that you can inspire your audience to take action. Study your audience. Pay attention to what they're saying, what they need and want in their life. The more you understand your ideal client, the more trust you will build with them. I encourage you to do everything you can do get in their head (in a non-creepy way). You need to identify what they're struggling with and what they really want. You also need to know their hopes and dreams. I survey my audience at least 3 times a year, and it makes a big difference. I really wish I would have know this in the beginning because there were times I was really hard on myself. There's not a one size fits all approach to business. That's why it's important to find a mentor and community that understands that. It's also important to look internally and figure out what works for your life. But that dines't give you an excuse to slack off and not do something because you don't feel like it and then say it was because of time. Time is not an excuse. We have the same time in the day as Oprah and Tony - that's what I always say. You need to be forgiving or your schedule and find your blinders. Find the people that inspire you and put on your blinders to everyone else. No shiny object syndrome here! I think it's really really important that we are diligent of our time, forgiving of ourselves and aware when we are all over the place. Focus. Ask yourself - are you using your time efficiently? Again, there's no one size fits all. Start growing your list form day 1. Start growing your list from day 1. If you're a blogger, put a pop up. If you have a Facebook page, have a signup. Even if you don't have free offer, have a place where people can sign up. It's important for you to have a database of your own. As far as strategy goes, this is one of the top things to do from the very beginning. It will be slow at first, but just get in the habit now. That first person could be that first client. My first client came when I had 10 people on my list. It's also important as you scale. This doesn't stop. You should always be growing your list. What do I mean by planning? I want to talk to you about planning for the big picture. What is the mission of your business? There are so many avenues for you, and you are multi passionate people. And there's nothing worse than telling a multi passionate person that they can't do what they want to do. So don't do it. If you have to do this thing right now, to get to where you want to be - the big picture - than do it. My big picture is to speak on stage and travel to be a speaker. Coaching is something I fell in love with, but my big picture is to be a public speaker. Don't think desires for your life, I want you to think business big picture. Are you going to be a speaker? Are you going to create the next B-School? Always thinking of the big picture will help you with what to do now. Start thinking about those pieces and planning for the big picture from the very beginning. With that comes patience. Know that it is going to take time. If you are putting in the effort and energy and know you are worthy, you will get there. You have to have patience and know that it's your journey. Stay in your lane. Focus on what you're doing. The impact you're having. Patience, patience, patience. Today we are talking about being the mirror. Let's think about a mirror for a second. We look in a mirror, we see what's happening right back at us. This is what needs to happen with your audience and your ideal clients. Because here's what happens a lot. We find ourselves on a hamster wheel. We find ourselves in this cycle. It's a routine. It's what's been expected of us, what society says we should be doing over and over and over again. I don't know about you, but it's really hard to step off of that hamster wheel when it's what you've been doing your entire life. I struggled with this so much when I was working basically every 9 to 5 I've ever worked where I knew that there was something else that I was supposed to be doing, but I didn't really know what that was. And what I was doing was safe. What I was doing felt like it's what I should be doing. It was what society told me I should do. It wasn't miserable. I was never miserable in my 9 to 5. That's not always the case, right? It just didn't feel 100% amazing. But, I was stuck. I was stuck on this cycle. I made money. I wasn't completely miserable. I didn't have a horrible life. It took a moment, the birth of my son, to pull me off that hamster wheel and basically shake me and say, "Okay, now's the time to do something different. You're actually not 100% happy. Let's change things up a bit." Not everyone has those moments. Not everyone has a life-shaking moment in their life. It is your job to say to your clients, "You're not 100% happy. You'll tell me that. But then it's easy to go back to the same pattern over and over again." This doesn't work for everyone. I'm not going to sit here and lie to you and say that every single person that you present this to in a livestream or every single piece of content that comes out, people are going to see. But the women, or the men that you desire to work with, that are your true ideal clients will resonate with this. So there's a couple things that I do to make sure that I really set up being the best mirror as possible. I'm a big freaking believer in market research. I love market research. I love it because it gives me so much freaking content, it's insane. I love to ask my audience, "What's going on right now? What's your number one struggle with branding? What's really bothering you about working your 9 to 5, right now? If you can change one thing, what would it be?" These are just three examples of questions that you can put out there. Start using those things as topics for your content and your livestream, so that way you're really pulling your audience in with the things they said they're struggling with. You're holding up a mirror and saying, "You really don't have to do this any longer." And the really cool thing about being the mirror in the entrepreneur world, is you're not only holding up the mirror and saying, "You're struggling with this. It doesn't have to be this way." You're also showing them what is possible, which leads us to number 3. When I was stuck on the hamster wheel, and when many of my ideal clients are stuck on the hamster wheel, it's hard to see what's possible. We can dream, a lot of us dream big. Entrepreneurs are really good at dreaming. But sometimes it's really hard to put ourselves into those dreams. We can say, "Oh, I really want to leave my 9 to 5." But if I were to ask that woman, "Oh, when are you going to leave your 9 to 5?" "Well, I don't know. I don't know if it'll ever happen." It is our job as experts in our industry, it is our job as entrepreneurs, to make them see that it is possible for them. The same goes if you're in wellness. If you are a health and wellness coach and your ideal client is someone who's really struggling to lose weight and they need to lose weight because of their health, but they can't get rid of the old patterns that they've grown up with. The way that they've eaten their whole entire life. The way that they've looked at fitness their whole entire life. It is your job to say, "There is another way. I can guide you. This is what's possible for you. Here are some really cool, small changes that you can make." And have them start stepping off the hamster wheel. The last thing I'm going to share with you about being the mirror is that this works really well for pricing. I hear a lot from my community that they get people on the phone that are super excited that say, "I can't afford it. I can't afford that right now." If you make your audience understand that the way that they are living, the way that they are doing things, is not going to continue to work for them, that they are going to continue to keep feeling the way that they are feeling, that there is another way, and they can choose to make that decision, it's amazing how easy it is for people to suddenly find the money if they want it bad enough. So again, continuing off of video one, as you can probably see, it's still about connection. It's still about showing up for your audience, speaking directly to them. Being the mirror in their current situation, showing them what is possible and presenting your beautiful offer or package to them as a way to change it. I know that's what first coach did to me. I know that's what I've been fortunate to do to so many women. As you go into everything that you're creating, think about being the mirror, being the reflection to your ideal client and your audience. IF YOU WANT TO WATCH THE ENTIRE VIDEO WITH SOME BONUS TIPS WORKED IN YOU CAN DO SO BELOW! I'll be sharing live videos that I record in my private community Authentic Brand Builders, on my FB business page or as a guest expert, that are not to be missed! I'm excited to share with you a live stream I did recently talking about the 3 Key Pieces to Create Your Personal Brand. ▶ ▶ Why creating a brand is more effective than just creating a business and how a switch in focus allows you to stand out to your ideal client in the crowded online world. ▶ ▶ My #1 approach to branding that allows you to give your brand a voice and my top strategy for finding it, so you can build an irresistible and bold brand that positions you as an expert in your industry from the get go. ▶ ▶The #1 thing missing from online branding and how you can identify it and start incorporating it into every aspect of your brand so you not only grab the attention of your audience, but keep it long enough to build a deep, meaningful connection with them. Let's cut right to it shall we? The #1 thing missing from your brand is emotion! If you don't make people FEEL something then they are going to peace out. The average time people spend on a website is 15 seconds, so you better be able to do something right off the bat to catch their attention and pull them in to what you have to offer. Another very important component of branding is building trust. You do this by sharing your story yes, but you also want people to know you understand them 100% and that they can trust you to be vulnerable and understanding of their needs and wants - this comes form building an emotional connection. In this episode of the Brandmerry Vlog, I'm sharing with you how your can carry the emotions of your brand into the aesthetics and content of your brand.